If you have an enquiry, you can get also fill in the form below. Thanks. We will endeavour to get back to you as soon as possible. Click on Get Directions on the map above. 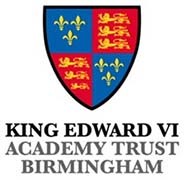 The Academy is approximately 8 miles from Birmingham City Centre. Buses that run along Sheldon Heath Road are numbers 17 and 72. Number 71 stops close by at The Radleys. The two nearest train stations are Lea Hall and Marston Green. Bus number 71 can be taken to get to the Academy. The nearest major train station is Birmingham New Street. The Journey Planner. You can use the journey planner to plan your visit to us. Please note that King Edward VI Sheldon Heath Academy is not responsible for the content of external sites.